Arpit Aggarwal Principal, Blume Venture Advisors Pvt. 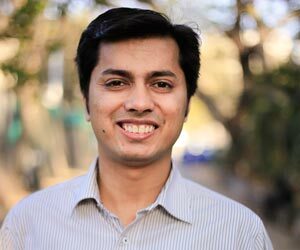 Ltd.
Arpit has been actively engaged with startups for more than 10 years, first as a co-founder of Headstart Network and then full-time at TLabs before joining Blume. He started Academic Ventures back in 2010 to help science from Indian labs reach the market. Arpit is our Delhi face, responsible for taking care of the Blume ecosystem up north. He helped start the Talent Acquisition unit under Constellation and also works closely with the portfolio on media relations. He's an alumnus of NIT Trichy and IIT Bombay's SJMSOM. Fun-Fact: Arpit is a rookie Tabla player, intermittently at it for more than two years and is the only VC who gets to live on IIT Delhi campus.